Thank you for taking the time to explore our site and the products we offer. If you’re ready to begin preserving your fondest memories, click on one of the three product categories we offer to determine which fits your needs. What if I don’t know exactly what I want right now? That’s okay! For massive personal photo collections and other memorabilia, it can be overwhelming to determine which product best captures the nostalgia of your keepsakes. Feel free at any to click on the ‘Contact Us’ page to complete a brief form and we will happily provide a one-on-one consultation. Can I scan my non-digital photos? Yes! In fact, this is our preferred mode of delivery. If I do scan my own photos, what format should I use? We request that you save all images with either a JPEG or PNG compressed file extension. When saving an image on your computer, select either option in the file format field. What if my photos aren’t in the best condition? Don’t worry! We have Photo Enhancement and Restoration Services available for an additional charge to repair old and damaged photos. What if my photos are in albums? Here are a few suggestions for how to best extract and deliver these precious keepsakes. Do provide a total photo count (and video minute count if adding video clips to your DVD). Do place a Post-It note that includes the numerical and sequential order you want the photo to be placed, on the back of each photo. If there is no order preference, T2G will take creative liberties to ensure the best transition of images. Do provide horizontally oriented photos that are focused and free of fingerprints and smudges whenever possible. Please refrain from sending blurry photos or photos with the subjects oriented near the top or sides of the picture. Please refrain from sending photos where the subject’s head is cut off or the subject is significantly out of the picture. Please refrain from sending severely damaged photos (cracks, ink-marks, moisture damage, etc. ), as they will detract from the overall look. Do not write on your photos. How should I send my materials? 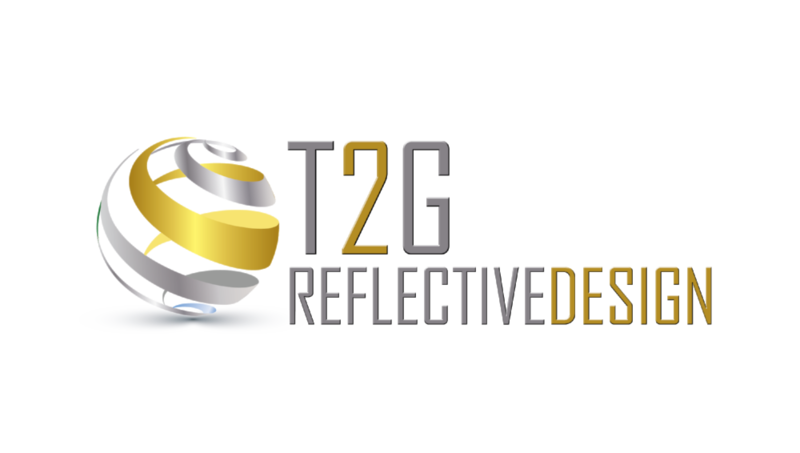 At the time of purchase, you will receive a unique email address with your name followed by our site domain (example JohnDoeFamily@T2GReflectivedesign.com). You will then email all scanned images to this address to prevent any mix-ups as images come rolling in or should you find a long lost photo that you may desire to be included. Who else will see my materials? Only you! You will be given a password for viewing and proofing work. We respect every client’s right to privacy. Do I get my materials back? Yes! All original proofs, footage and memorabilia will be returned to each owner upon completion of the project or sooner upon request. Currently, we accept cash, Visa, Master Card credit cards, or transfers via PayPal, Square Cash App (iOS) or Venmo (iOS & Android). Yes, T2G requires a 50% non-refundable deposit of your total fee ahead of project on-boarding. This ensures clients have skin in the game and are committed to collaborating on an exceptional end product. We take client’s privacy VERY seriously. No one who is not authorized to view your data or personal effects will have access to them without your permission. T2G will never sell or share your private images to any third party without your consent. Please note, we may also ask you to sign a waiver that grants T2G permission to use finished projects as examples of past work for future purposes. This is up to your discretion. Where can I view examples of your work and packages? We have carefully selected our favorite work samples that can be found on our home page and each product page. How long will it take to finish a DVD? Upon confirmation of contract, projects can take up to 10 business days to complete. We offer expedited services upon request for no sooner than 4 business days with an additional fee. Can I send other printed materials to include in the DVD? Yes, please share what these materials are during your scheduled consultation. Can video clips be included in the DVD? Yes, we happily add video clips to DVD packages if requested and in the proper file format. Where and how do you get the background music for the DVD? We will supply the music per your choice of package selection and additional music may be added (consultation is required). Music files must be shared in Mp4 or Mp3 formats. Does T2G keep an archived copy of my DVD? Yes, we keep a protected copy of your finished product should you request another copy in the future or need a replacement copy for any reason. What happens if I lose my DVD or it gets damaged? A copy can be reproduced for an additional fee. How do I check what type of format my DVD player accepts? Our DVD plays on most standard players. However, check your home player owner’s manual to determine if CD-R discs are accepted. DVDs are formatted for high-definition television built in players. It will not play on an analog player. What is the recommended length for a DVD? Based on your package selection, we customize each one. Can I add materials to the DVD at some point in the future? Yes, for an additional fee. How long will my DVD last? What should I do to store and preserve its quality? Independent research has that with proper care, normal use and storage, the DVD can last from 25-50 years, which is plenty of time to enjoy the contents of the media, and then move the contents to the next viable storage format in a couple decades. Can I make my own copies of the DVD once I purchase one? No, due to our privacy policies this is strictly prohibited. Can I see the movies before you create and ship it? Yes, we offer a personal site for viewing (proofing) purposes ahead of shipment. If I don’t like the DVD, can I get a refund?